The web world has been rising with a fresh concept everyday to give the best to the industry. People are also opting the latest web trends to enrich their website with the premium features and drive maximum results. 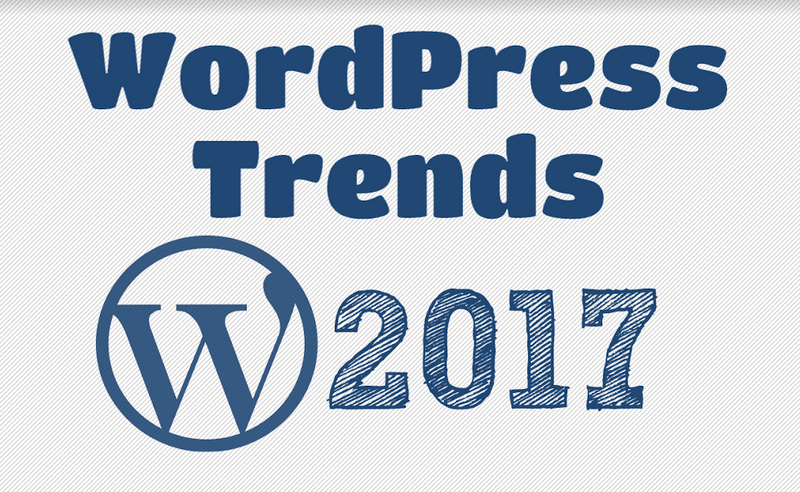 WordPress is rising at a great pace in the current competitive edge to create powerful websites pertaining to every business type. Themes and plugins of this open-source platform help to extend the capability of a website. Apart from it, to implement the latest trends and technologies running hot in the market is a smart approach to lead the web world and stand ahead of the competitors. The current technological era gives rise to the large number of mobile users who are using different websites and social media to be a part of the web. The structure, design and functionality of a website play a major role to build its mobile layout. A good search engine ranking is an added advantage as Google supports mobile-first websites. Bootstrap is also followed by many developers as a flexbox grid system for creating layouts. Expanding from a basic blogging platform, WordPress has now reached to build feature-rich eCommerce websites as well. As the most exciting trend of today, WooCommerce is ruling the web as a user-friendly platform to create quality websites in an easy way. Parallax is a hottest topic in the current scenario that allows background to move at a slow rate as compared to the foreground and gives a 3D illusion. This phenomenon creates depth on the page and increase the website traffic. The essence of this trending concept will not fade in the coming times as well. Software as a Service is not a new concept and successfully implemented by several plugins and themes. The SAAS plugins are efficiently used by WordPress professionals to allow a secure and reliable gateway. It is easy to use advanced software like OptinMonster with this plugin. Use of HTTPS is the optimum solution to run secure websites along with getting good ranking results. It is a secure version of HTTP which guarantees that the data is encrypted that has been sent between your browser and the website you’re connected to. They are small bits of communication that help users navigate the interface effectively. It perform basic functions such as help to manipulate, identify results from specific actions and to communicate the feedback. Microinteractions can be treated as a single task-based engagement to a device which is a single-way communication to indulge users within the design. They are the decorative header images with motion that can be used effectively for a relaxing user experience. These headers can play automatically and loop by default. It is obvious that videos play a major role to grab the attention of the users and this makes video headers a beautiful concept to be followed. It is the need of the hour to use tempting presentation of text to get a unique appearance. H2 and H3 headings are not so popular now because the users want some interesting concept for improved results in terms of traffic. Use of customized fonts and applications such as Google and Adobe is also recommended in this context. The idea of virtual reality has its roots in the gaming world with its spectrum reached to different virtual reality devices. The use of VR images and videos in the WordPress websites is quite beneficial. There is also a provision to switch between regular and PR mode in the smartphone devices. As the web is full of websites, it is tough to establish a strong hold among the visitors with something alluring enough. Images plays a major role in this context as they grab the most attention of the visitors. A picture or video speaks more than a mere static text and thus it is mandatory to supplement a website with graphic illustrations to make it lead in today’s arena. It is necessary in the recent times to be perfect in all respect when you make a website in order to rule the internet because web is the only gateway you have to gain your business. WordPress is growing rapidly in the market with all the necessary features that are crucial in making full-fledged websites. Following the latest trends of 2017 that are listed in this blog post are of great help in taking out the best from your website for the sustainable growth of your business.